What is a .jobs Domain? Attract potential employees and expand your company with the .jobs domain. The .jobs domain is a sponsored top-level domain that was first delegated back in 2004. Since then, it has been used by businesses of all sizes. It is sponsored by the Society for Human Resource Management and was created with a specific purpose in mind. It’s meant to be used by companies who need to create a simple URL that can direct job seekers to corporate websites. The .jobs domain is a unique and practical alternative to traditional extensions. When you’re on the hunt for new employees, the focus is not on attracting customers or creating a flashy web address. Instead, it’s to guide job seekers in the right direction and to get your application website noticed in search engines. 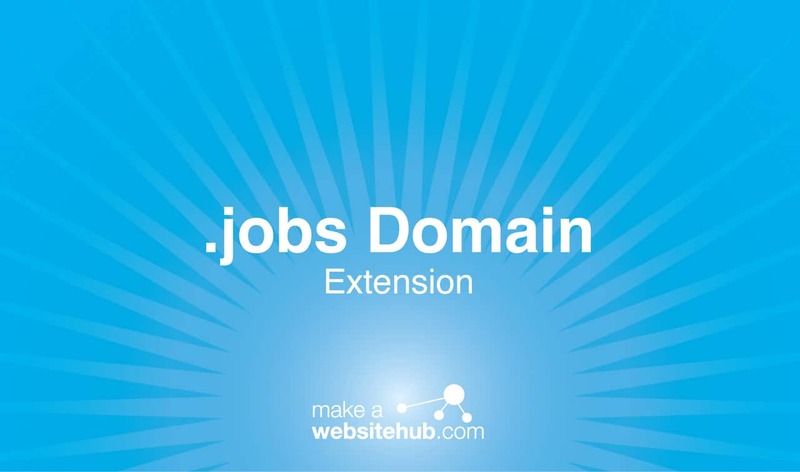 The .jobs domain is direct and gets rid of any confusion. Because it’s a sponsored domain, there are many use restrictions. This limits the number of websites that utilize the domain. Not only does this make the extension more accessible to you, but it also builds a level of trust among internet users. It’s viewed as a professional extension that’s controlled on a corporate level. In terms of visibility, the .jobs domain extension is top-notch. The purpose of the website is right in its name. This helps to improve your site’s rankings on search engine results. It’s also very memorable. Instead of giving a potential employee a complicated URL with a string of numbers and letters, you can provide them with a streamlined web address that they will remember. Whether you’re a small startup or a Fortune 500 company with thousands of employees, the .jobs domain is designed with your best interests in mind. While generic top-level domains can be used by anyone for domain hacking, there are clear and concise rules on how you must use the .jobs domain. The extension must be attached to your corporate name. These rules are in place to build trust among Internet users and avoid confusion. Search result pages can be filled with fake applications and scam sites. The .jobs domain cuts through all of those fake links, directing job seekers to your application platform. Something as simple as companyname.jobs is enough to attract employees. It’s straightforward, memorable, and states what the website is for right off the bat. Where Can You Buy a .jobs Domain? While the .jobs domain is reserved for professional applications, it is offered by a number of popular registrars. Here are a few to check out. As mentioned earlier, the .jobs domain is a restricted top-level domain. It’s heavily regulated to ensure that companies and job seekers are protected. There is a detailed registration process that requires you to prove your legitimacy and website. It can only be used by human resource departments for the purpose of promoting job opening and directing employees to applications. There are also restrictions on how the domain can be used. You can only use the legal name of your company or organization. Because it’s so restricted, you cannot privately register the domain either. Luckily, all of the limitations with the .jobs domain also ensures that you don’t have to worry about domain squatting or availability issues.